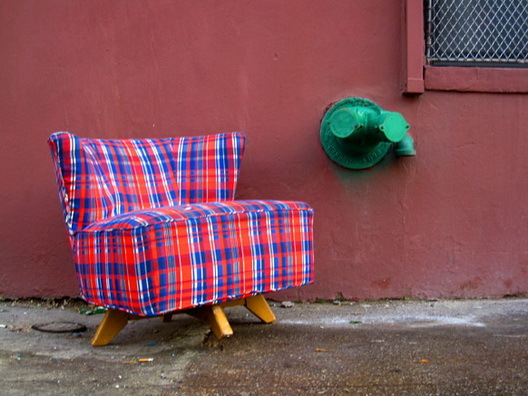 Miss Heather, who discovered this masterpiece on Green Street, called it “Dead Chairs Wear Plaid.” Us, we’re speechless when we look at it. Serendipity? Greenpoint, Green Street, green standpipe or whatever you call those pipe things. Very cool shot indeed.